We are the company, founded in 1964, at the place of Osaka city known as the second biggest city of Japan,with a population of 8.8 milion. Osaka is located just between Kyoto and Kobe, with the Kansai international Airport floating on the sea and Itami local Airport at Rokko Mountain side of Kobe. 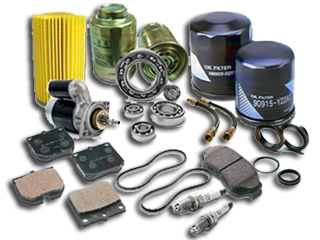 An availability of your auto parts can be comfirmed by E-mail or fax, with the name of brands to supply. We can possibly supply the genuine parts only with Japanese domestic model against OEM part numbers but only in a limited small quantity by postal air parcel or EMS Courier). We supply replacements for engine cylinder liner kit, Overhaul gaskets, Clutches and Hydraulic brakes for buses and trucks like Isuzu, Hino, UD, Fuso of Japanese origin. At any rate, an accurate time of delivery of each different makers can be estimated against a firm order.